Advanced Engineering 2017 has published its ranking of the UK’s high value manufacturing hotspots and at the same time opened registrations for this year’s show. At the top of the league table came Bristol with an “advanced engineering impact” score of 5179, pipping Birmingham to the post. These figures, which are based on the number of visitors from the area at last year’s show and number of exhibitors registered to date, taking into account travel factors, mirror ONS data which shows that the three strongest regions for engineering employment are the South East and West Midlands. The West Midlands has over half a million people employed in the sector. The strongest sector for engineering in the UK is the South East of England, with 23% of the workforce working in engineering compared to the UK average of 18%. However, parts of the UK with a lower reliance on engineering are still forecast to grow strongly in creating jobs. For example Scotland is expected to add 14,000 jobs by 2022 when compared with 2014. Alison Willis, industrial divisional director at Easyfairs, said: “High value manufacturing provides over 5½ million engineering jobs to the UK economy, with a total turnover of £1.24 billion. This isn’t bad when many people think we no longer make things! Many of these jobs are highly skilled and highly paid, and are driving innovation in the country’s manufacturing base. Organised by Easyfairs, Advanced Engineering 2017, which takes place on the 1-2 November at the NEC Birmingham, is the UK’s largest annual gathering of advanced engineering professionals. It connects the entire supply chain of the UK’s advanced engineering industry with R&D, design, test, production and procurement from large and small companies, through to top tier industry players in a two-day free to attend exhibition and high level conference. 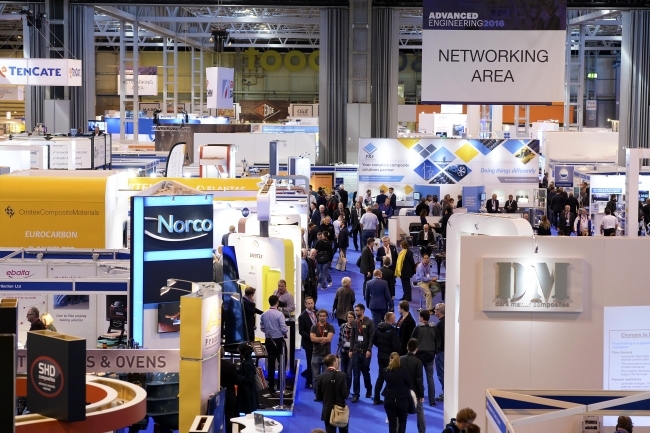 Now in its 9th year, the show has record breaking visitor numbers, bringing together over 700 firms, as well as more than 13,000 engineers, procurement managers and senior decision makers from large and small companies – all looking to source, specify and invest in the most up-to-date products and explore the latest industry innovations. Advanced Engineering 2017 includes five co-located zones under one roof: Aero Engineering, Composites Engineering, Automotive Engineering, Performance Metals Engineering – and new for 2017, Connected Manufacturing which focuses on Industry 4.0.